T here are two points to consider when choosing a filter. Do you want to capture images that are as close to the essence of the real thing or do you want to be creative and experiment with the different effects of different kinds of filters? There are several types of filters to choose from. 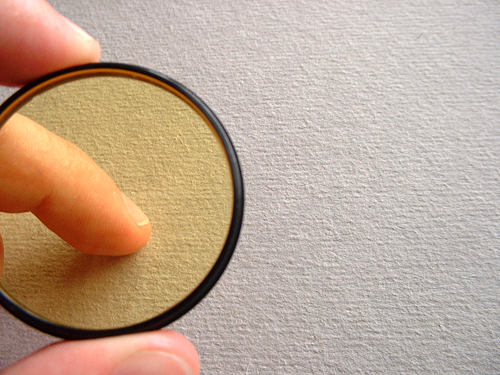 There are glass filters that you can clamp or screw onto your lens. These are considered to be the toughest but can also be very expensive. There are also fragile, polyester and gelatin filters which are highly recommended for lenses with unconventional widths and when you don’t often require a filter. 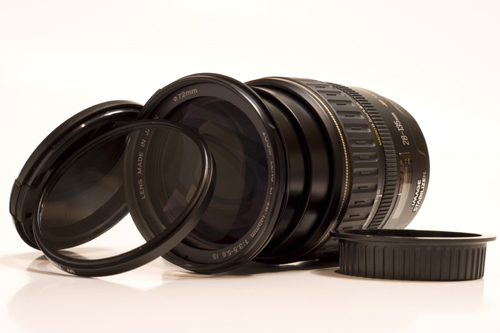 You might encounter some problems using lens filters. An underlying effect of filters is that they can adversely affect the quality of an image by introducing an additional piece of glass in between the camera’s sensor and the subject. This is more noticeable in the form of slight color tint, a decrease of contrast in some, or most of the image area, or increased lens flare and ghosting caused mainly by light reflecting off the inside of the filter. Filters may also cause vignetting, which is the light fall-off or blackening of the image’s edges if the opaque edges of the filter obstruct the passage of light entering the lens. A polarizer from a wide angle lens, a couple of filters on a lens or a filter with a lens hood can also cause vignetting. A solution to these issues is to use filters bigger than the lens’ screw in thread. For example, use a 62mm filter for a 58mm lens and attach it with a step-up ring. 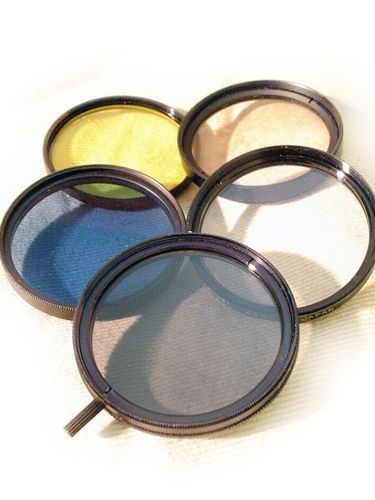 When choosing a filter size, there are two types of lens filters: the screw-on and front filter. Screw-on filters provide an airtight seal and can’t be accidentally moved during composition but works only for specific lens sizes. A front filter, on the other hand, is more flexible and can be used on almost any lens diameter. However, they have to be held in front of the lens, which can be a bit inconvenient. The size of a camera lens is listed in diameter in front of the camera in millimeters and can range from 46-82mm for D SLR cameras. The diameter of a screw-on filter corresponds to the diameter of the camera lens. There are also step-up or step-down adapters that can be used for different filter sizes. Remember that step-down adapters can cause vignetting since the filter can block light at the edges of the lens while step-up adapters can be a hindrance for a camera that requires a smaller filter. The height of the filter edges is also important. Extra thin filters as well as other specially designed filters can be utilized for wide angle lenses that will not cause vignetting but can be quite expensive and may not have threads on the exterior to allow for other filters and maybe even for the lens cap. This entry was posted on Thursday, March 10th, 2011 at 10:00 am	and is filed under Articles, Cameras and Equipment, Miscellaneous, Photography Basics, Photography Techniques. You can follow any responses to this entry through the RSS 2.0 feed. You can leave a response, or trackback from your own site.